India is a vast country with variety of problems. 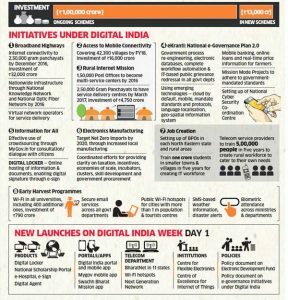 The government under the leadership of Narendra Modi has launched the ‘Digital India’ campaign which aims to tackle problems with the use of technology. India is well known to churn out the best talent in the tech field. All major tech companies are fuelled by people of Indian origin. Hon PM Narendra Modi in his speech on the launch of the Digital India campaign made clear his intention by stating an example of Google. He said something like Google could be started in India as Google right now is powered by many techies of Indian origin. The future lies in digital and no one can rule out its importance in today’s fast advancing world. Governments need to be the key implementer of technology across the nation. 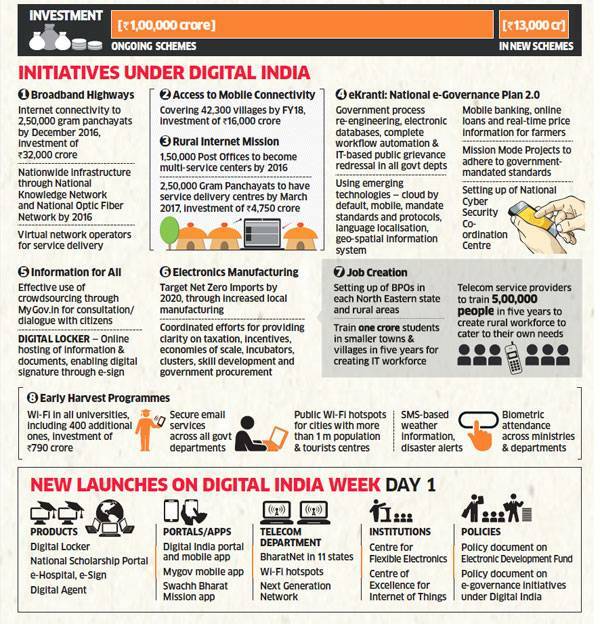 Realizing this, the Government of India has launched the Digital India Campaign. The campaign aims at creating digital solutions to real life problems. Narendra Modi in his speech emphasised on certain problems which are currently being faced in India. Technology can bridge the gap between problems and solutions and will be the solution themselves in many cases. The government of India has thus invited companies and individuals to upgrade themselves and adopt technology in all spheres. PM Modi plans to upgrade the entire government mechanism by adopting technology at grass roots level as well to weed out problem of corruption. There are plans to bring the majority of the current non-internet using population under the cover of this digital revolution. Digital India has big plans for India and can be a solution to eradicate its many complex problems. Winjit Technologies has been at the forefront of the Indian technology revolution. Winjit is engaged in developing mobility solutions for large scale enterprises and consumers alike. Winjit has been advocating digital revolution since its inception and is glad the government is taking concrete steps towards upgrading the country.